1) CNY Parade – The 46th Annual Vancouver Chinatown Spring Festival Parade. This signature event of Vancouver’s Chinatown will feature lion dances, cultural dance troupes, marching bands, martial arts performances and much more. This is an annual cultural extravaganza not to be missed. The parade will begin at 11 am. The Year of the Pig (Boar) in the Chinese Lunar calendar will begin on Tuesday, February 5th in 2019. Come see the sights and hear the sounds of the festivities! For further information Chinese Benevolent Association of Vancouver site. 3) Chinese New Year at Aberdeen Centre. There’s a full slate of events over the coming weeks at Abderdeen Centre including a Lunar New Year live countdown with Fairchild Radio, a traditional lion dance, and even zodiac symbol selfie stations. The dragon and lion dances take place on Feb. 5, while live musical performances take place throughout the day on Feb. 9 and 10. For further information Aberdeen Centre website. 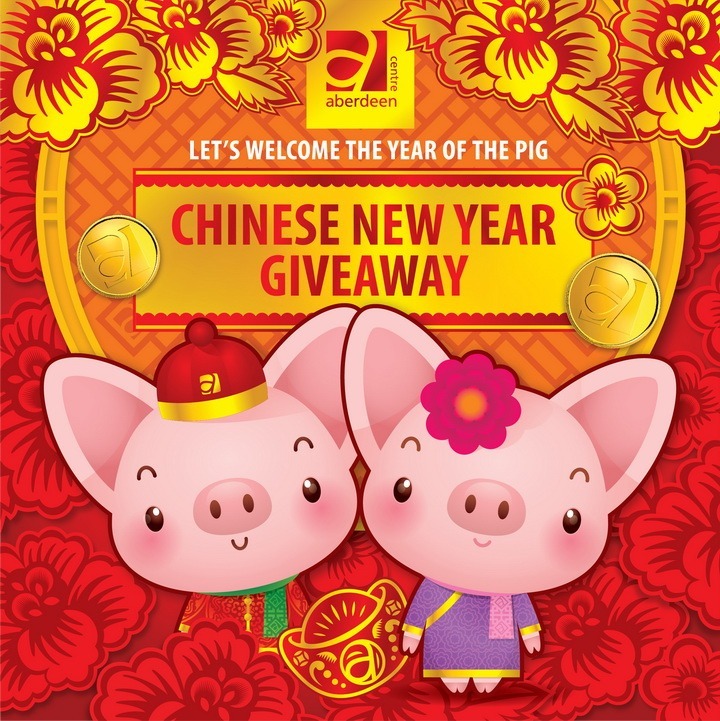 On the first day of Chinese New Year, Aberdeen Centre will be giving away our limited edition Chinese New Year of the Pig blessing sheets for free to customers. This year’s designs feature our adorable pig mascots who will bring happiness and luck to every home. Be sure to come early to ensure you receive an entire set while quantities last! 4) Surrey International Lantern Festival 2019. Celebrate Lunar New Year at the Surrey International Lantern Festival with traditional dragon and lion dances, a visit from the God of Wealth and a mythical pig and maybe even receive a lucky red envelope. Lanterns on display include a replica of Beijing’s Temple of Heaven, and a dinosaur kingdom.